It is asparagus season in Belgium!! Which is why you see markets (and supermarket) shelves overflowing with gorgeous white asparagus (otherwise known as “wit goud” or white gold in Flemish because it is considered a treasure!). Some say that the white asparagus has a milder & sweeter taste than its green counterpart… while for me, it is all about the preparation and cooking methods! While Alexia of Must be Yummy bakes them & serves them with chervil coulis & salmon. and finally, Sandra of Leeks & High Heels creates Asperges a la Flamande… serving them the truly traditional way in Belgium! 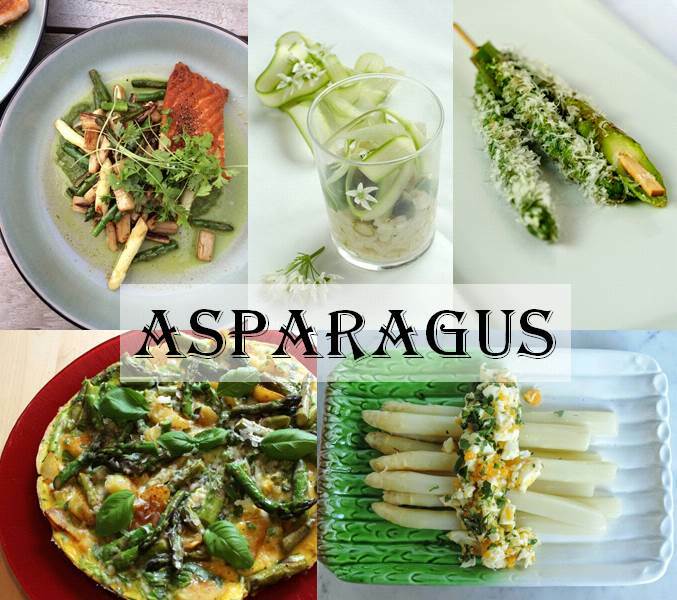 Do you have an asparagus recipe that you wish to share with us? Just add the link to the comments section below!